Creating an interesting focal point in any room, the interesting and unique Wedge Coffee Table looks different from every angle. The table features an intriguing, open design frame made of steel with a matte black finish for strength as well as beauty. 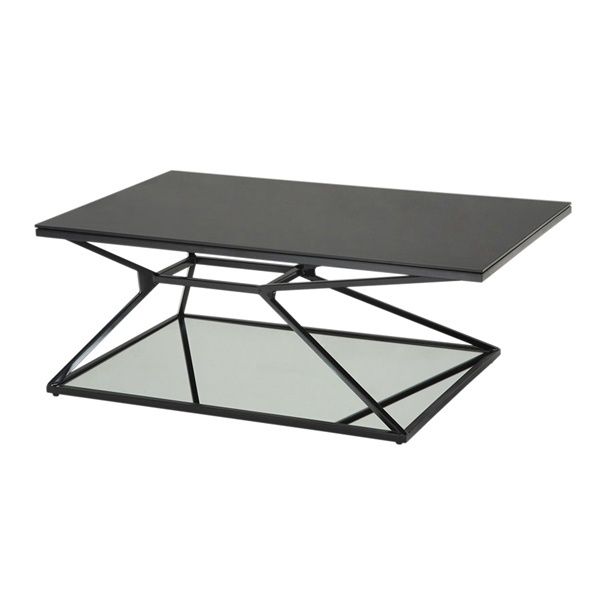 For increased appeal, the table features a tempered black glass tabletop � furnishing an elegant place to display some treasured items � and a mirrored glass bottom shelf that adds a luminous shine to your living space. An incredibly modern addition to any room, this coffee table furnishes style and sophistication to any contemporary residential or commercial environment. Pair with the Wedge End Table to make a cohesive statement.